If you want a great multimedia experience, the $1,066 ASUS N550JV's booming quad-speaker array and gorgeous 1080p display will knock your socks off. Those looking to play more than casual games will also appreciate this notebook's Nvidia graphics. The slow hard drive is a cost-cutting weakness in a laptop costing almost £1000, and leaves it looking expensive in a crowded market. Nonetheless, the N550JV is an attractive multimedia laptop with impressive audio and video capabilities that could make it suited to presentations at work, or entertainment at home. Positive: Beautiful design; allunium case; good matte screen with wide viewing angle; good speakers; good keyboard; high performance; good emission Negative: Mediocre battery life; no VGA port; position of arrow keys. The Asus N550JV is a high-performance midrange laptop, blighted by an abominable touchscreen display and tortoise hard disk. If you care about sound quality, the B&O-branded sound system is not a reason to seek out this laptop. But the N550JV plays Windows games at a good lick, albeit at a low resolution by modern standards. The ASUS N550JV is a really nice all round performer. The other two recent high specification desktop replacement laptops we’ve looked at - the Toshiba Satellite P50t-A-10U and HP Envy Touchsmart 15 - have had their own issues to hold back a full recommendation, the N550JV rarely puts a foot wrong, only really struggling with a slightly fussy touchpad. True, it has half the RAM of the other two, but we always thought 16GB was overkill on those machines, and the performance is pretty similar anyway according to PCMark and Geekbench 3, and in gaming the N550JV steals the show with a better graphics chip and performance not too far removed from the more expensive Alienware 14. It also manages to pack in a Blu Ray drive, which neither of the others do for the same price. It’s an easy recommendation, given each retails for the same amount - though of course there are bargains to be had below RRP. The ASUS N550JV is a good all round desktop replacement laptop which comes with solid games performance and premium design and build quality. We had high hopes for the N550JV, and it’s true to say there are very few areas for improvement. In an ideal world we’d dump the touchscreen in favour of a little less weight and a lower price, but this is a minor nit-pick. Asus has struck a superb balance between all-round power, ergonomics and features, at a price that isn’t too steep. A well-deserved place on the A List awaits. Yet for Asus, the cost of having a touch of B&O looks like it could be off-putting, especially as the benefit only really comes into its own with the SonicMaster sub-woofer attached. I'm sure other manufacturers could source USB sub-woofers for a mere £35 extra if it was that important, and USB is much more elegant than the mini-minijack on the Asus. If Asus really wants to impress, it should be working with B&O to deliver a decent bass response from internal speakers. And if that's too hard, then it might as well give up on this partnership premium and use the money saved to compete on price. 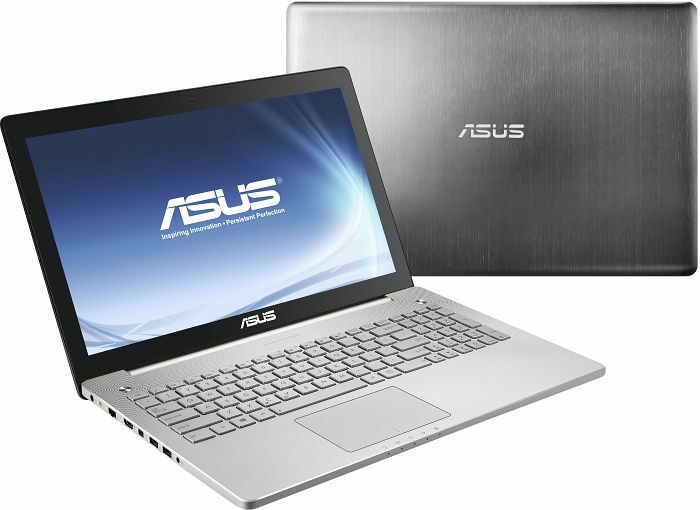 Asus has always been a famous name in the computer and laptop industry. 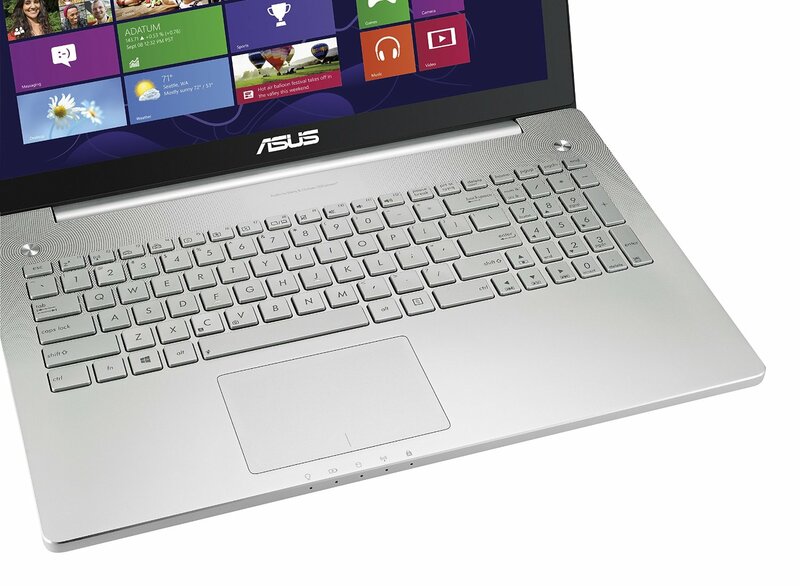 The Asus N550JV-DB72T is just another one of their great innovations made to replace desktops. The laptop comes with a 2.4 GHz i7-4700HQ processor, which has a rather mighty raw processing power. 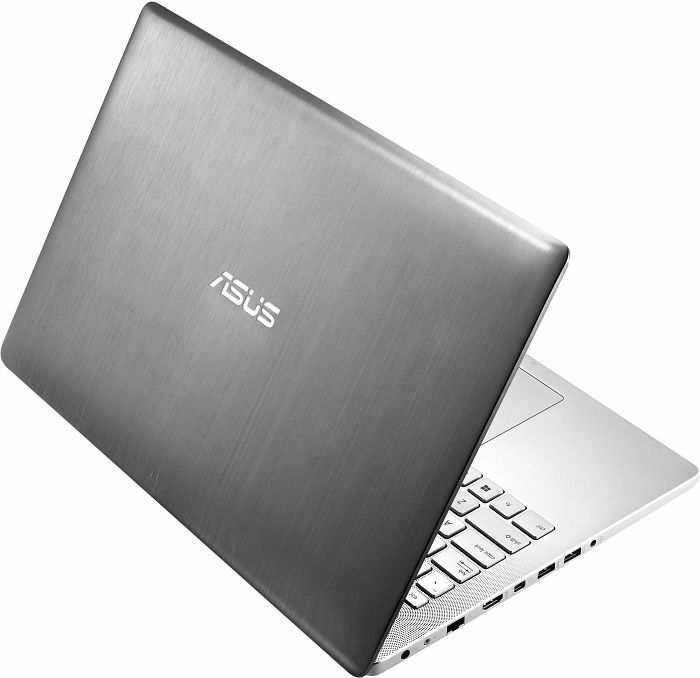 Coupled with 8 GB RAM and 1 TB of hard disk space, heavy desktop users should not face any issues switching to the Asus N550JV-DB72T. To boost it all, the Nvidia GeForce GT 750M will ensure that gamers are also happy with this laptop. The 15.6 inch screen is great size for a desktop replacement. With a screen resolution of 1920 by 1080 pixels, users can watch HD videos with full clarity. The Asus N550JV-DB72T is also equipped with multiple speakers which makes watching movies on this laptop truly enjoyable, as if there was a sound surround system. Sadly, it does not come with a Blu-Ray drive. The Asus N550JV-DB72T is heavy. However, it more than makes up for it with its specifications and performance. Besides, it is meant to be a desktop replacement, so its weight and battery life should not be expected to be the same as laptops made for mobility. In a nutshell, the Asus N550JV-DB72T is probably one of the closest desktop replacement models Asus has come up with. However, for some weird reason, the laptop does not support 5 GHz Wi-Fi modules. When all's said and done, N550JV proved to be a quite interesting device. You get one of the best designed laptops that we've ever seen so far. There's also the top-quality screen, metal chassis, wide range of connections, external subwoofer, but also a strong hardware base that powers all of that. If they used a more powerful graphics (or rather, its memory), we wouldn't have had any real objections. In spite of needing to stay close to a wall charger, we found much to like about the Asus N550JV-DB72T. This model is well served by its attractive, high-end design; logically situated buttons and ports; and brilliant, high-resolution touch-screen display. The one part of the Asus' performance that disappointed us was its battery life—about four hours in our admittedly tough video-playback test. Watching movies on a tablet is well and good, but to get real immersive entertainment, a 15.6-inch laptop with multiple speakers like the Asus N550JV-DB72T is the portable equivalent of a home theater system, plus it also qualifies as a power user system. The Asus N550JV-DB72T is one of the best desktop replacement laptops we've seen in PC Labs in a while. It's equally at home consuming or creating media, and it's a great choice for the demanding power user. Its 1080p HD screen, benchmark performance, and other features trump our previous Editors' Choice, the Asus VivoBook V551LB-DB71T, with only an $80 premium. Therefore the Asus N550JV-DB72T is our new Editors' Choice for midpriced desktop replacement laptops, and comes highly recommended for the demanding user that is willing to spend a few more dollars for extra power. Positive: High performance; beautiful aluminum case; relatively thin; full HD IPS display; quality sound; cooling system. Negative: Color of the display. Positive: Very high quality production; sound system; excellent performance; impressive display. Dignified. Laptops featuring strong graphics are a dime a dozen. However, only a few sport a matte IPS screen, first-rate subwoofer sound, and a quality aluminum chassis. Does Asus have what it takes for the championship in the multimedia sector? 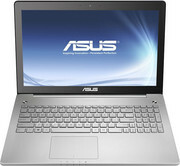 The Asus N series always oozes class; entertainment laptops that pride on excellent sound quality and stunning display. 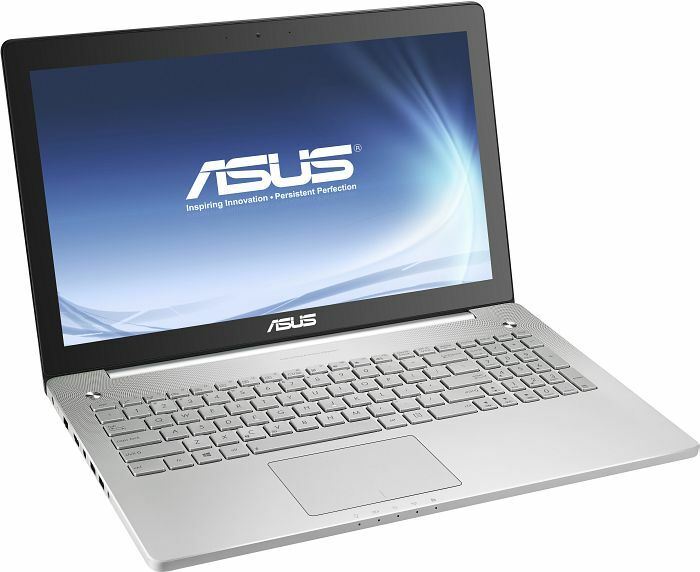 The Asus N550JK –CN113H is no exception with its awesome built quality and sleek lines. Finished in silver color, the aluminium built laptop is practically a work of art but with familiarity written all over. The Microsoft Windows 8.1 laptop comes with a 15.6” 16:9 1920 X 1080 pixels HD 1080p matte display that certainly delivers sharp and vivid images. The processor is an Intel Core i7 4700HQ clocked at 2.4 GHz with maximum turbo frequency of 3.4 GHz, 16 GB DDR3 RAM 1600 and 256 GB hard drive size. There is an Nvidia GeForce GTX850M with 2 GB memory graphic processor packed into the hardware which makes it more than capable for gaming and graphic intensive applications. The Asus N550JK-CN113H comes equipped with a Blu-ray drive, 3 USB 3.0 ports and all other standard features expected from modern high-end laptops. The battery is a lithium cell that lasts around 4 hours and is one area that could have seen improvement. Weighing in at just 2.7 kg, the laptop is not too heavy to carry around. 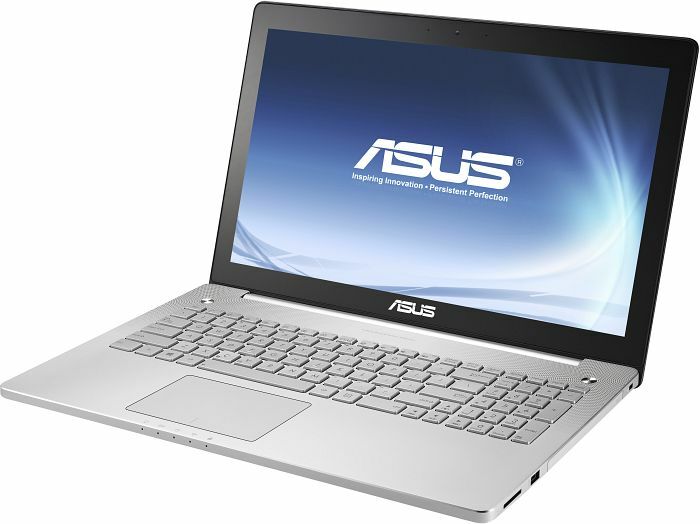 In conclusion, the Asus N550JK-CN113H certainly will perform well while maintaining its good looks. The N550JK hails from Asus' N Series, a range of entertainment-oriented laptops that claims 'unparalleled' sound quality and 'striking' displays. 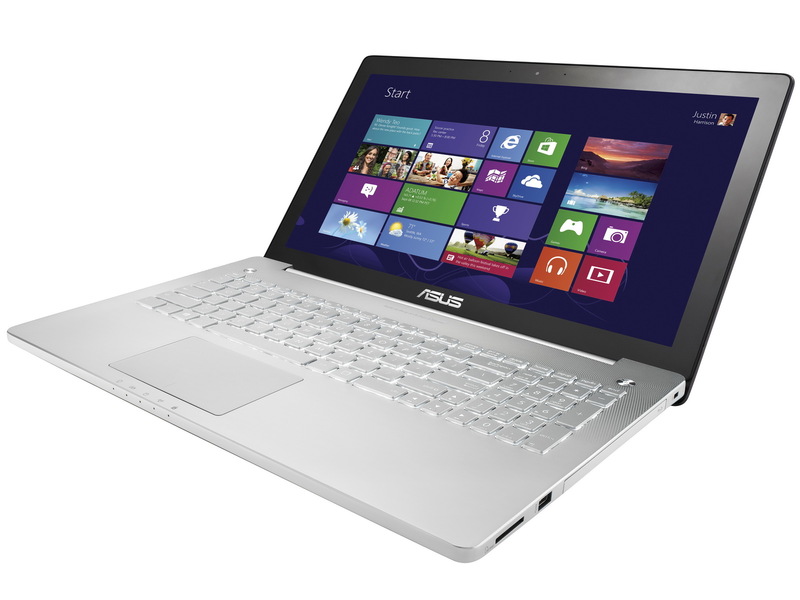 The Asus N550JK is an outstanding, versatile laptop. Only the most demanding gamers should find fault with it. Tech-savvy users might want to replace the HDD with an SSD to boost the performance even further and get the absolute most out of this stellar PC. Positive: Very good workmanship; high-performance; very good display; woofer included; good keyboard. Negative: Poor cooling system; expensive. Positive: High quality screen; low noise; good touch and keyboard; great sound system. Negative: Slow speed HDD. Positive: Impeccable sound system; comfortable backlit keyboard; powerful performance; excellent viewing angles of the display. Negative: Battery should be better; hot under load. 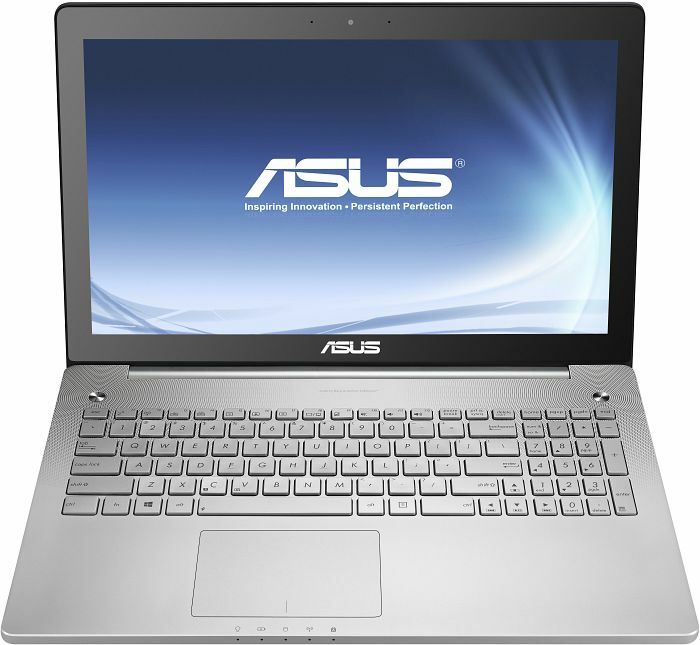 The Asus N550JK is essentially a gaming laptop, as it has a dedicated graphic card, the GeForce GTX 850M with 2 GB of VRAM. The processor used is a Core i7 4700HQ processor by Intel clocked at 2.4 GHz and it is supported by 8 GB of DDR3 RAM. 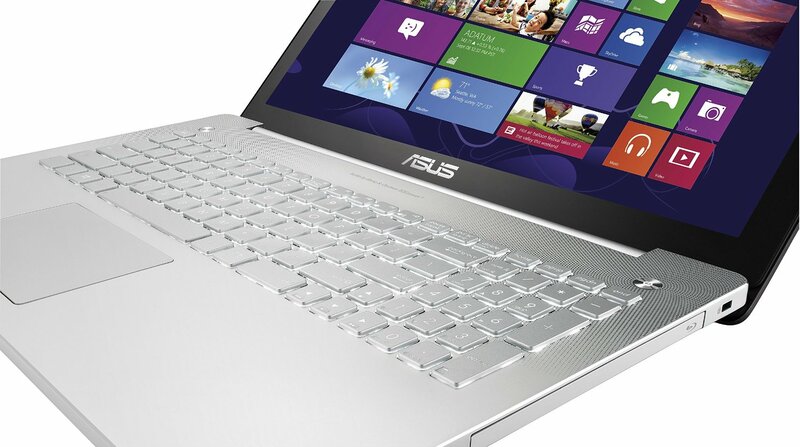 The RAM is upgradable to 16GB, which gives this notebook added flexibility. For storage, there is an option of a 256 SSD or a 1 TB hard drive, which the potential user has to chose prior to the purchase. 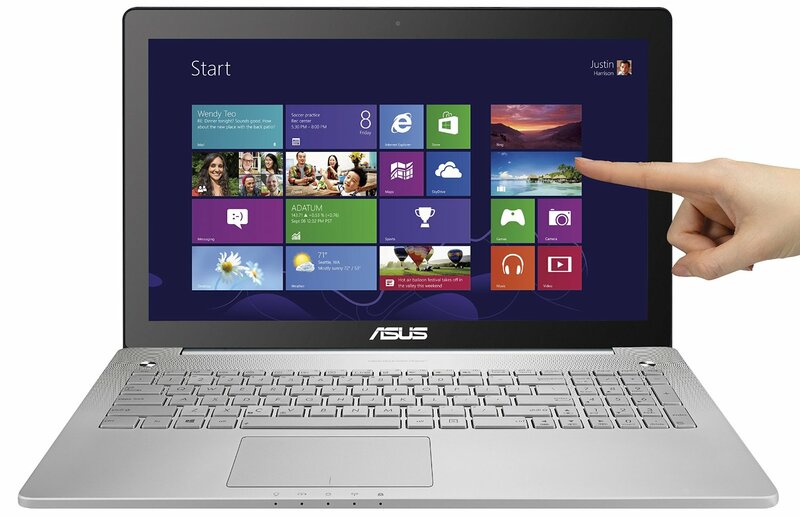 The 15.6 inch touchscreen has a LED backlight and a resolution of 1920 x 1080 pixels. There are three USB 3.0 ports, an HDMI port and a mini DisplayPort. Audio quality is outstanding with the SonicMaster Premium quad speaker on board and an external subwoofer. With the 4 cell battery plugged in, this gaming notebook weighs in slightly above 2.7 kg and its maximum height is 1.1 inch (2.79 cm). The aesthetics of this device is fairly classy thanks to its slim framework with gray keyboard and palm rest and dark gray lid. Windows 8.1 Pro 64 bit is available out of the box on this device. All things considered, this gaming laptop is an excellent device that delivers gaming performance in an elegant shell. Today's laptops are all about compromise, and consumers need to identify the features that matter most and shop accordingly. Attempting to cover as multiple bases, the Asus N550JK straddles the line between mainstream and gaming laptops with stylish design and a good dollop of processing power. The Asus N550JK is a practical laptop that is also a dab hand at games, especially given it costs a bit less than most gaming laptops. It's not very portable and the version with the lower-end display is one to avoid unless you really don't care about image quality, but otherwise this is a good buy. ASUS designed the N550JK-DS71T as a multimedia laptop that could do just about any task without it looking pretentious like many gaming laptops. The system offers a nice mix of features and performance that can go from an office environment to a mobile gaming event. 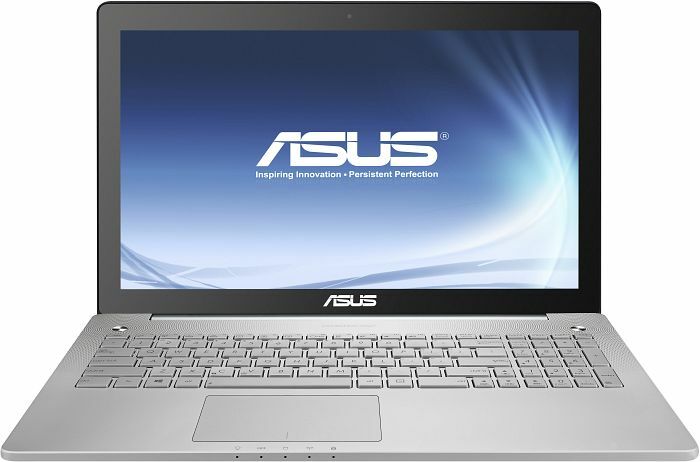 The Asus N550JX-CN066H is a laptop for entertainment with a beautiful, simple design and a solid construction. The lid features an elegant brushed metal finish and a slightly darker grey compared to the aluminum chassis. The Windows 8 system includes an upgrade option to Windows 10. The 15.6 inch display that can be configured with the following options; HD, Full HD and IPS FHD. Any display option would do, but users looking to max out on clarity should choose the IPS FHD panel. In addition, a touchscreen option is also available. 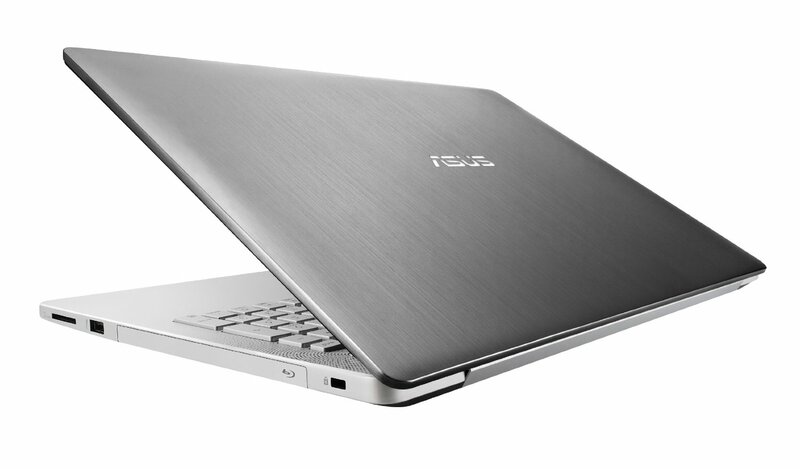 The laptop comes with an Intel Core i7 4720HQ or an Intel Core i5 4200H processor depending on the variant. The maximum RAM capacity is 16 GB and the Asus N550JX-CN066H sports an Nvidia GeForce GTX 950M with either 2 GB or 4 GB of VRAM. There are several storage options ranging from a 1 TB HDD to a 256 GB SSD. It is up to the user to compromise between capacity and performance. Other features include an optical drive, a card reader, three USB 3.0 ports, an HDMI out and a mini Display port. 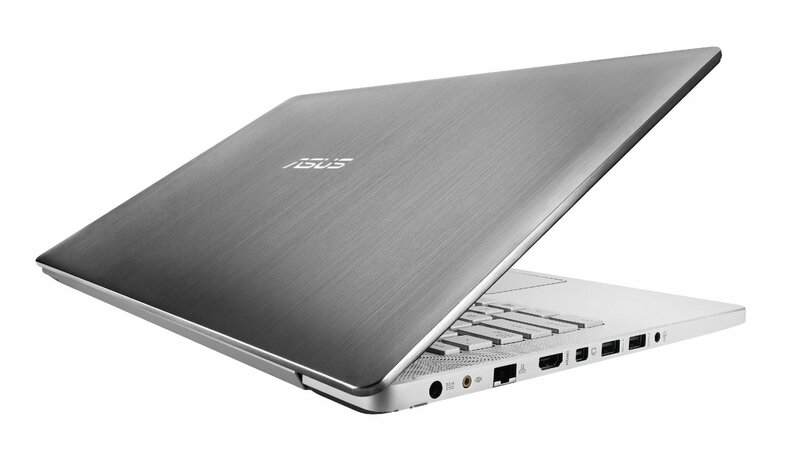 Audio quality is excellent with 4 built-in speakers and the Asus N550JX-CN066H comes with a 4-cell Polymer battery. Positive: Excellent performance; not extremely expensive; excellent viewing angles of the display. Negative: Poor display colors; low storage space. NVIDIA GeForce GT 750M: Upper mid-range graphics card of the GeForce GT 700M series. Based on the Kepler architecture and manufactured by TSMC in a 28nm process.NVIDIA GeForce GTX 850M: Upper mid-range graphics card from the GeForce GTX 800M series.NVIDIA GeForce GTX 950M: Mid-range graphics card of the GeForce GTX 900M series, based on the Maxwell architecture.» Further information can be found in our Comparison of Mobile Graphics Cards and the corresponding Benchmark List. Haswell-based dual-core processor clocked at 2.8 GHz with Turbo Boost support up to 3.4 GHz. Offers an integrated HD Graphics 4600 GPU and a dual-channel DDR3 memory controller. Very high TDP (47 W). 81.93%: This rating should be considered to be average. This is because the proportion of notebooks which have a higher rating is approximately equal to the proportion which have a lower rating.» Further information can be found in our Notebook Purchase Guide.